It is the end of the world as we know it. The undead walk the earth and nothing and no one can stop them. Some say a meteor from outer space has covered the earth in dangerous radiation, others fear that the time of reckoning has come and there is no room left in Hell, while others still fear a global pandemic. The only certainty is that no one knows exactly what caused the dead to rise, but now they are here and they have won. 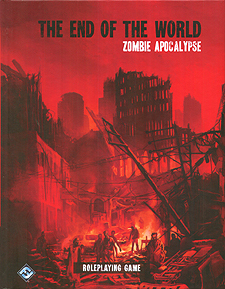 Five unique scenarios of the Zombie Apocalypse that each include locations, NPCs, and specific zombie rules for each type of zombie horror.